Death leaves a heartache no one can heal, love leaves a memory, no one can steal. This quote refers to both plays infused with Irish sensibility. A lovely revival of Sea Marks has opened at the Irish Repertory Theatre. 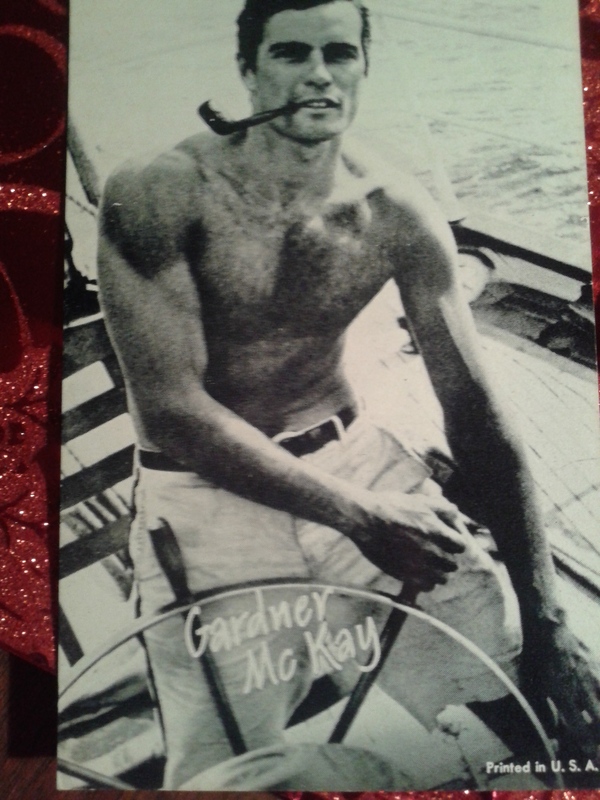 The play was written by one time television god, Gardner Mckay, star of the sixties hit Adventures in Paradise. I feel strangely close to this play as Mr. Mckay lived in my apartment in here while working on changes for its New York debut. The play won the “Los Angeles Drama Critic’s Circle Award” for Best Play in 1979. Sea Marks tells the story of a lonely virgin fisherman (Colm Primrose) from a remote island in Ireland who falls for woman from Liverpool (Timothea Stiles) he meets at a wedding. Writing her, they develop a relationship primarily driven by his passionate prose. He speaks of life in ways foreign to urban ears and it’s his poetic voice that brings them together. Facing his fears, he goes to the big city where he finds himself entrenched in the glories of first love and overwhelmed by the onslaught of sudden celebrity. It’s hard to imagine in this day and age of anyone turning down the chance to be famous…but not everyone is Colm Primrose. Besides the celebrity issue, the innocence of the man is a wee hard to buy except that Patrick Ftizgerald does such a good job of making Colm quirky and original, that we do indeed buy it. As Timothea is written, Xanthe Elbrick has a real challenge. The character is so coolly tempered. She is ambitious and loves her urban life and also loves Colm, but it’s sometimes not clear whether she is interested in being his agent more than a lover. Still, her surprising independence is refreshing and though I was confused somewhat by the accent choices, Welsh to Liverpool to London, she is a strong partner for this budding love affair. Lighting and sound are evocative of the seascape we all dream of running to. Beautifully directed by Ciarán O’Reilly, Sea Marks never lets the fish tale become more important than the emotions of the lovers who get caught in its net. At another Irish inluenced theatre, the Cell, has been showcasing The International, an amazing production by the Origin Theatre Company. Written by first time writer, actor Tim Ruddy, the play explores the horrors and occasional humanities of the Balkan War, seen through the vistas of three separate characters linked through time and space. Carey van Driest as the Balkan villager is every lover, daughter and mother who has had to withstand the atrocities of war at her doorstep. She effuses warmth and charm as the local native who holds on to hope until the word is erased from her mind. She is the center for this three person piece…the one you root and perhaps even pray for. The UN solder Hans, played by Timothy Carter shares with us his confusion at what his job requires. Is he there to actually help these people he has begun to admire? And what about his own fear and the life back in the Netherlands that he wants to protect? No character could have felt as impotent as this poor Hans, the soldier without direction. As the lost American Dave, played by Ted Schneider, is unemployed, depressed and riveted by the possibility of watching a war on television and even betting on the outcome. The goal? Disneyland! He is real as well as a metaphor for the lack of comprehension most Americans exhibited during this horrible history. Has it changed much, however, with equally incomprehensible atrocities happening in Africa and Syria every day? Many questions are raised in this riveting show which should be seen by everyone in the political sphere who can make decisions for our exhausted war worn world. By witnessing this play, one is also being a witness to history.. The truths of the emotions of these three characters have been so beautifully written by a man who never visited Bosnia, but who as an actor has the empathy to truly understand the lives of others. Christopher Randolph directed this production, keeping it moving elegantly along from one voice to the other; separate at first and then closer and closer as the three distinct worlds begin to collide. The play is no longer at the Cell but keep eyes opened for productions at other venues. It should not be ignored.